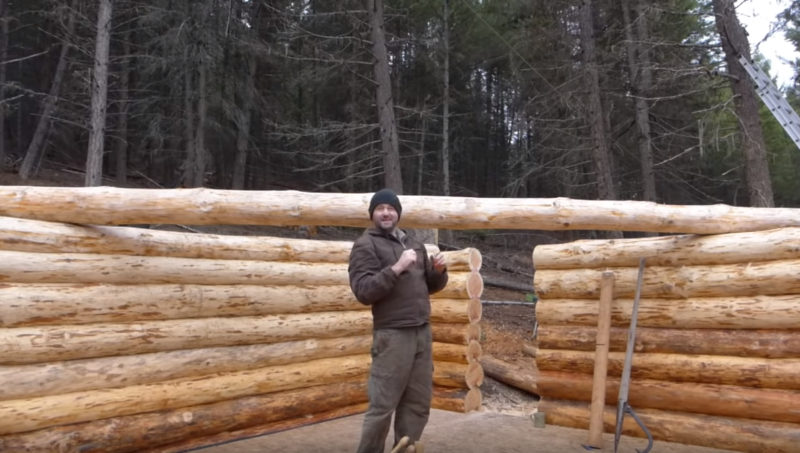 Here I have an early video of my off grid log cabin build. Along with peeling and scribing the logs, moving logs on the wall was one of the steps that was quite time consuming. All my logs came up one way and then had to be moved into position for scribing. Not to forgotten once the logs were scribed they had to be moved back down on to the floor for cutting and then once again moved back up after that for fitting and seating. Here you can see how I moved logs once they were up on the wall.